In the past few years, Customer Delight Trading has grown as a reputed Stepladder Suppliers in Abu Dhabi, UAE. We are offering a wide selection of insulating stepladders, largely used for domestic and industrial usages. Step Ladder that we offer is handy, light-weight and robust Aluminium Ladders for your day-to-day chores and industrial usages. It has a wide & comfortable platform for easy working and knee height guard-rail for additional protection. Procured from reputed manufacturers and vendors, these stepladders are ideally used while accessing material on high shelves, cleaning ceiling fans, and any other area where access is a limitation. Stepladders offered to comply with international standards. We believe in percent client satisfaction and offer them products only after sending them for a strict quality test. 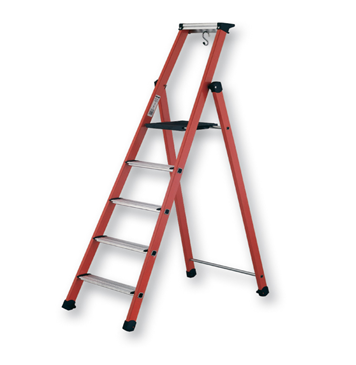 Being a reputed Stepladder Supplier in UAE, you supply no sub-standard stepladders to the client. Contact us to avail these stepladders at reasonable prices.